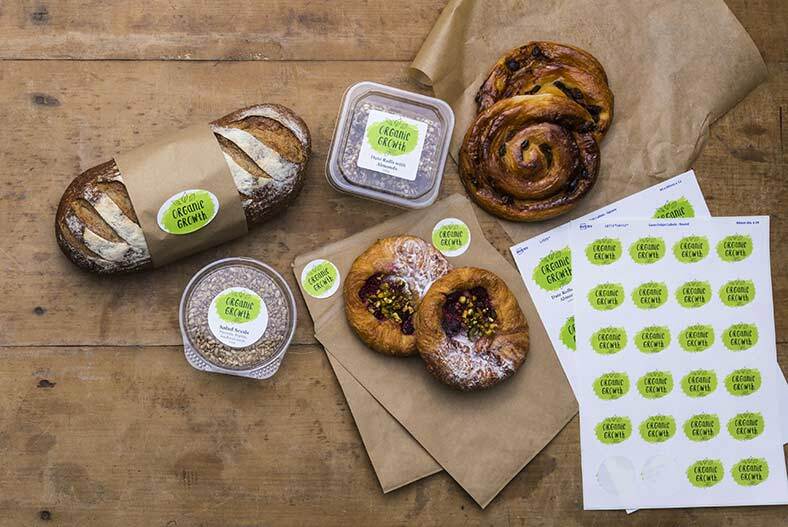 Consumers are becoming increasingly health conscious and at Avery WePrint we've seen a rise in the number of orders for custom health food labels. All foods are subject to labelling regulations, so if your handmade products are for the more health savvy customer, then it’s essential to make sure you know what the rules are. When it comes to printing custom product labels for your health foods, we’re here to help at Avery WePrint. 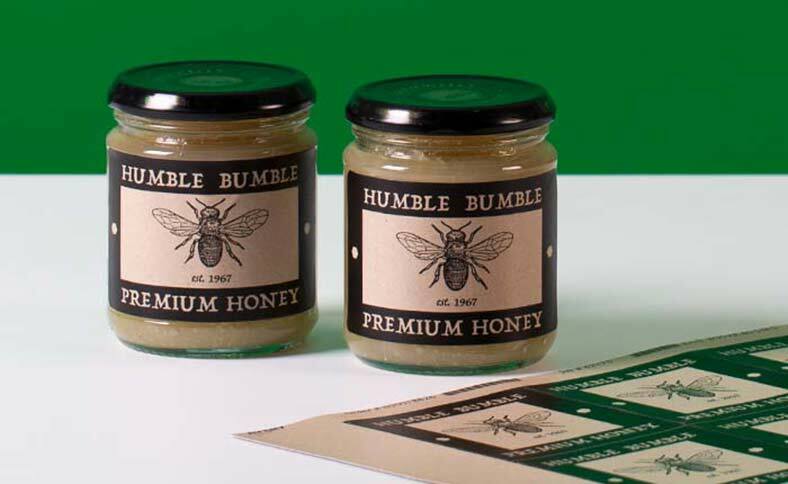 We specialise in printing a wide selection ofsticky labels that that are ideal for both branding and product information. We put a huge amount of resources into ensuring that the adhesive, materials and printing processes we use are the best quality. This will not only help make your products look great, it will also help you to meet the requirements for labels to be permanent and legible. You can design labels on our website using the free Online Design Tool, or have them designed elsewhere and just upload the finished artwork. Choose from rectangle, round, square, oval, plaque and straight oval shape labels, which can be paper, textured paper, plastic, waterproof or clear. If you’re a small producer, or you want to experiment, you can order in small quantities. For larger orders, there are great discounts to be had. We all know that lots of food can be healthy. ‘Health food’ is food product that is promoted as being conducive to particular areas of health or with particular health benefits. While it is possible to make nutrition or health claims on your product label, the regulations for doing so can be complex. The basic principle to follow is this: don’t claim or imply that your product can treat, prevent or cure any disease or medical condition. What information must you show? Health foods, like all food, must show the information listed below, along with the net quantity (product weight less the packaging) in grams, kilograms, millilitres or litres. There are also special rules about labelling bottled water, bread and flour, cocoa and chocolate products, fats and oils, fish, fruit juices and nectars, honey, jams and preserves, meat and meat products, milk and milk products, soluble coffee and sugar. Here in the UK, the basic requirements for your product labels are that they must be clear and easy to read, permanent, easy to understand, easily visible and not misleading. You must show certain information and list the ingredients, and you may have to show certain warnings. All this information is available on the UK Government food labelling and packaging website. There are rules on nutrition labelling for all pre-packed products. However, you don’t have to follow these rules if both the two conditions below apply, or if your health food product falls into the other exempted categories. You supply either direct to consumers or local retailers within your county, your neighbouring county, or up to 30 miles from your county boundary. The Government has produced a leaflet on nutrition labelling, available here. To find out if health food falls within an exempted category, you can see the full list here. If you’re a retailer, you can label products as organic provided at least 95% of the farm-grown ingredients are organic, and you sell the products direct to the customers in your shop. If you produce or prepare organic produce and you want to sell them as organic, you must register with a recognised body and follow their guidelines so they can certify your products. There are currently nine organic control bodies in the UK, listed here. Labelling pre-packed foods with ‘may contain …’ warnings is voluntary. Best practice guidance is given in the Food Standards Allergy Agency Guide. Once you’ve decided what information you need to include on the labels for your health food products, it’s time to select your product labels from the Avery WePrint range. If you want to experiment with different sizes and shapes, create your labels using the Online Design Tool. If you get stuck, help is at hand through the Live Chat available during normal office hours.